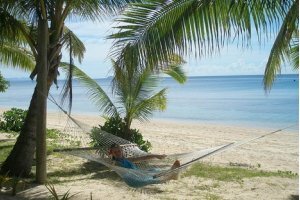 The Breakfree Long Island Resort provides visitors from all over the world with affordable island resort accommodation that is really close to nature. The property has a wide variety of accommodation rooms available and is perfectly situated in the heart of the Whitsunday Islands. This central and secluded location is what makes the Long Island Resort the perfect tropical island getaway for both families and couples. Breakfree Long Island Resort is an affordable holiday destination that provides some of the best value accommodation in the Whitsundays. This is because of the all-inclusive nature of the hotel rates in the main part of the property. For the budget conscious backpacker there is even cheap hotel rooms in the Barefoot Lodge, which gives holiday makers the privacy of their own room with the other parts of the accommodation being communal so that it retains its social nature and you can interact with other people from across the globe. At the Long Island Resort guests will find 2 swimming pools, landscaped gardens, a lounge bar, nightclub, day spa & wellness centre, swim up beach bar & spa, beachside hammocks, well equipped gymnasium, free kids club, childrens playground, mini golf, beach volleyball, games and recreation room, internet kiosk, 2 floodlit tennis courts and over 20 kilometres of walking tracks through the national park. There is also a huge range of activities and attractions that holiday makers can make the most of including motorised and non motorised water sports such as sailing, snorkeling and scuba diving, rainforest nature walks, basketball, fishing, parasailing, water skiing, island cruises, jet ski hire, water bikes, tube rides and tours to the Great Barrier Reef and Whitsunday Islands.